Travel across the Golden Gate Bridge and through the rugged coastal mountains of Marin County. Experience the magnificent views of the San Francisco Bay and valleys where the Coastal Miwok once lived. Our first stop is Muir Woods National Monument, where ancient groves of Giant Redwoods (Sequoia Sempervirens) tower over Redwood Creek. 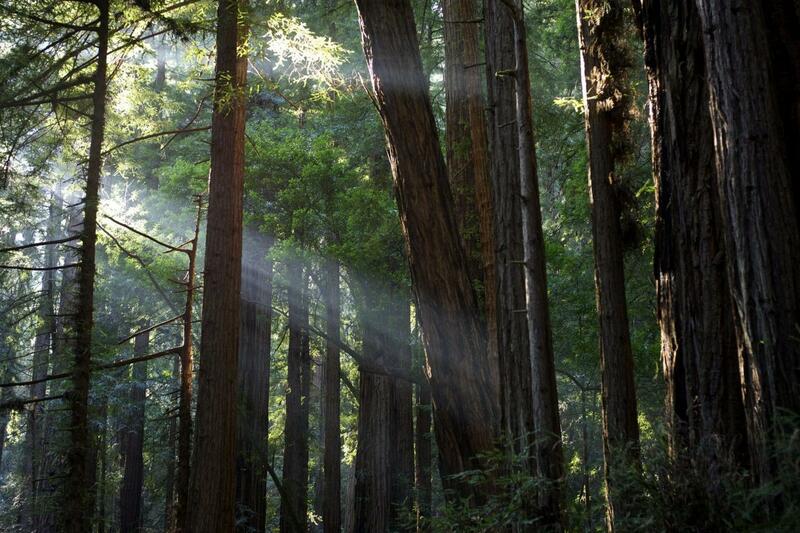 Our tour allows you more time in Muir Woods than the amount of time offered by any tour company! Muir Woods entrance fee is included. Next, visit the beautiful coastal town of Sausalito, a gorgeous Mediterranean-style village with quaint shop, art galleries, and waterfront restaurants. If a one-hour stop in Sausalito isn’t enough for you, extend your stay and return by ferry to San Francisco at your leisure. Ferry cost not included. Due to changes that the National Parks Service has made to the parking reservation systems for Muir Woods, from May 15, 2018, we are unable to guarantee specific tour times to this popular destination at the time of booking. The Muir Woods and Sausalito tour lasts approximately 4 hours and all guests purchasing this, either as a standalone product or a combination tour, will be contacted by email one week prior to your tour date to confirm the timing of your tour. While we appreciate that this may not be ideal for your trip planning, unfortunately, these are circumstances beyond our control and we, like all tour companies, are restricted in the times that bus parking will be available. We hope that this does not spoil your trip to San Francisco and that you will join us to experience the majesty of the towering redwoods and natural beauty of this world famous historic landmark. Vlad was great! Despite the rain, he made us laugh and have a good time! Informative and fun guide. Good amount of time spent at both Muir Woods and Sausalito. We had a wonderful trip out to the Muir Woods and Sausalito with a very knowledgeable tour guide and comfortable seats on the bus. I had made a mistake in dates when booking our tickets that was quickly and courteously corrected when I called them the next morning. We would definitely book a tour with this company again! Left on time from a very easy-to-find location in Union Square. The bus driver was very informative and easy going, and the pace of his narration was perfect for the bus ride. He also was able to take us on a scenic route both to and from the Muir Woods, which was appreciated. The Muir Woods themselves were fantastic, and the amount of time spent there was just right -- gives enough for hikers to get decently far into the trail, and those who just want to stroll a nice walk to get through. Sausalito was also a great addition to the trip - a very quaint down near the port that was beautiful and had great options for food and dining. 5/5 stars!